Kemp, a hardline conservative closely aligned with Donald Trump, had remained Georgia’s secretary of state overseeing elections throughout the campaign, prompting suggestions of a conflict of interest. During his eight year tenure as Georgia’s secretary of state, Kemp drew criticism for backing controversial voting laws that critics said disproportionately affected black voters. At a press conference on Friday evening, Abrams refused to call her acknowledgement of Kemp’s victory a concession, arguing that Kemp’s record as secretary of state, marred by widespread allegations of voter suppression, made it impossible. 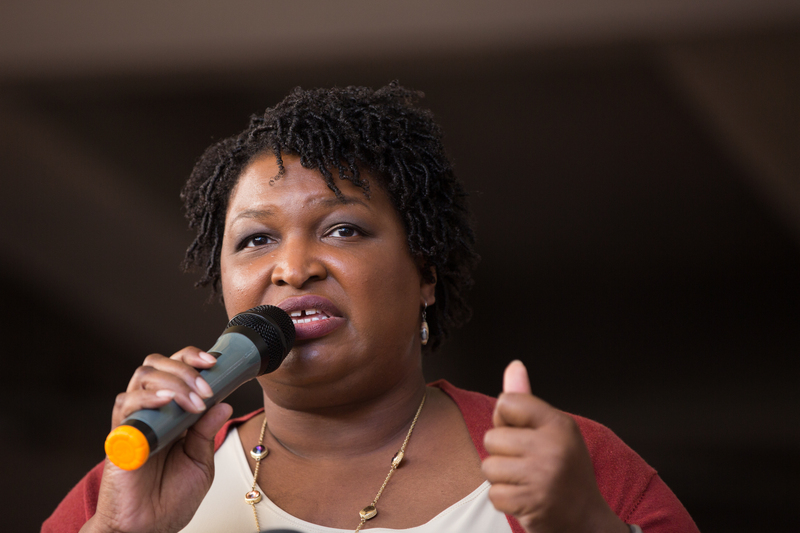 "This speech is not a concession, because concession means to acknowledge an action is right, true, or proper," Abrams said, but she added that the "law offers no possible remedy." Abrams' speech came moments after the state's chief elections official certified the results following a protracted 10-day legal battle. Abrams has called Kemp, the former Georgia secretary of state, the "architect of voter suppression" in the state. She continued that while many of her critics would criticize her for recapping the wrongs she believed were done during the election, Abrams said, "stoicism is a luxury, and silence is a weapon." The state, in America’s deep south, has not elected a Democratic governor since 1998 and had been seen as a potential bellwether of the strength of Democratic resistance to Republicans since the election of Donald Trump. The Democrat Stacey Abrams has acknowledged that the Republican Brian Kemp will be declared the next governor of Georgia, bringing to a close the hard-fought and bitterly contested election. Stacey Abrams, the Democratic candidate for governor in Georgia, said Friday she would no longer pursue victory in the race.